We only grow local vine varieties, from which we obtain cru from our “heroic vineyards”. Our wines are heroic because they are the product of an extreme viticulture, performed in demanding and wild areas at high altitude, in precious patches of land which have been safeguarded during the centuries from the devastating volcanic eruptions, or in plots on steep slopes of ancient extinguished craters. 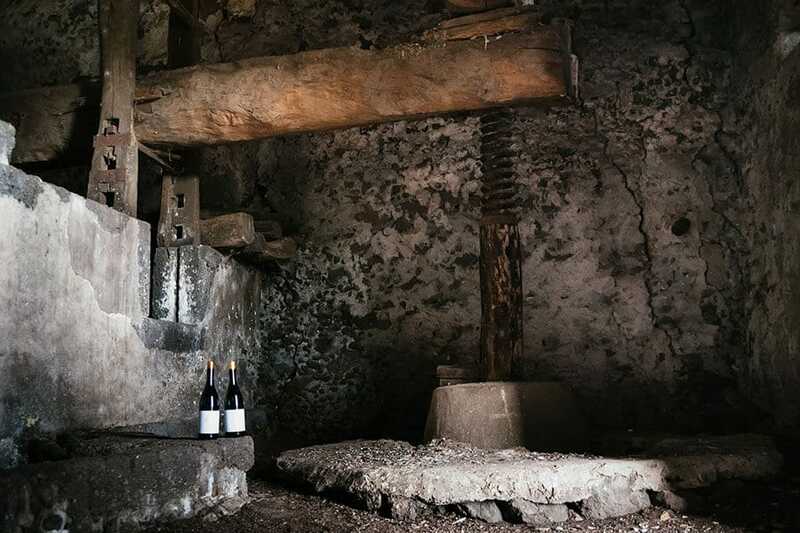 We operate following the teachings of the ancient Etnean agricultural traditions, that keep on living thanks to the passion and the perseverance of many brave winemakers. That’s why we aim at extraordinary wines, precious fruit of our toil and of our unshakable love towards our volcano and its vine varieties. The history of SantaMariaLaNave and our love for the Etnean vines and nature go back to 1954, when our grandfather, Giuseppe Mulone (called Peppino), a gentleman farmer from Regalbuto, in the province of Enna, moved to Catania with his family, looking for better and steadier living conditions. He found his first work on Mount Etna, at Zafferana, where Nonno Peppino took part in the harvests. He was simply fascinated by the fertility of the volcanic soil, by the lushness of the vine varieties and by the magnificence of the grapes. 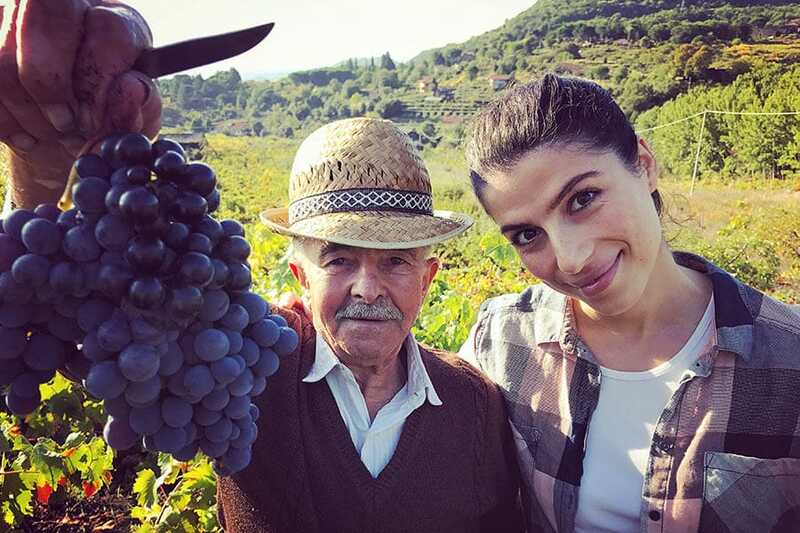 His deep relationship with vines and with Mount Etna went on for several years – until 1980, when his only son left in Sicily, “spared” from the migratory flows that emptied our island of many tireless workers, bought a property on Mount Etna, in the municipality of Viagrande. In that property there was a small and ancient vineyard of Nerello Mascalese and Nerello Cappuccio, that Nonno Peppino cultivated with love and passion, taking part in the first harvests and in the vinification, strictly performed using the natural and artisan methods that are typical of the local traditions on Mount Etna. He passed on that same passion, respect and love to us, proud heirs of Peppino Mulone, who strive to share it with the future generations, with passion and dedication. That’s the soul of our project, SantaMariaLaNave: to pass on this vision from the old to the new generations, safeguarding the precious viticultural heritage of our beloved Mount Etna during the centuries. And even if nowadays the vinification process is more modern and efficient, the care we have towards and the techniques with which we tend to our wines are the same as they were centuries ago. The harvest is handmade, as it was in the past, and we carry it out with the utmost gentleness, preserving every bunch, with the same humility and passion that our ancestors had. Our family today is the keeper and the warrantor of the fundamental principles that gave birth to SantaMariaLaNave – the same principles we learned from the good example of Nonno Peppino. 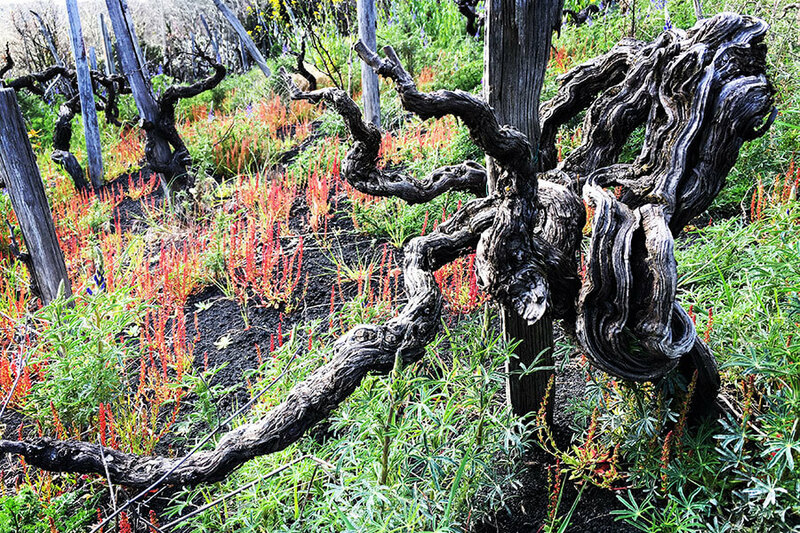 Our passion and our interest for the ancient local vine varieties of Mount Etna have grown during the years, so much that we reached the wildest and most extreme areas of the volcano looking for ancient pre-phylloxera vines, completely abandoned and at risk of extinction. In 2000 we started the wonderful adventure of creating a heroic vineyard at Contrada Nave, in order to safeguard some Etnean local vine varieties. Over 15 years, a local agronomist had performed an accurate mass selection of the best plants of Grecanico Dorato and Albanello that could be found in Contrada Nave. They were all ungrafted, many of them were abandoned and covered by brambles – just a bunch was still thriving in small gardens, thanks to the loving care of the last old and stubborn farmers of the area. In 2004, after a few years of researches, we managed to buy a series of small adjoining plots from some local farmers who could not keep cultivating the land. 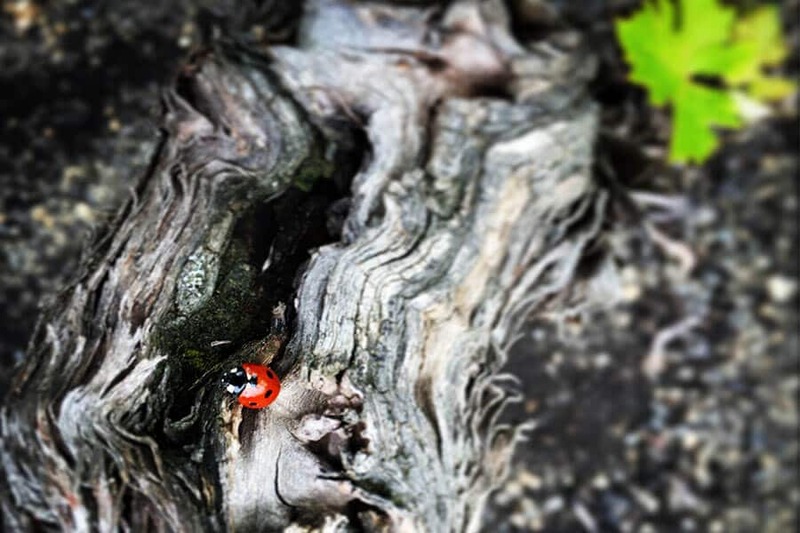 They were sunny and with a perfect exposure: patches of land that were ideal for a heroic viticulture, perfect to preserve a precious DNA that was at risk of extinction on the North-western slope of Mount Etna, at 1100 meters above the sea level. It’s here that we grow the grapes with which we make our Millesulmare Sicilia Bianco DOC, a monovarietal Grecanico Dorato, and we safeguard our 500 plants of the almost extinct Albanello. We created this wonderful vineyards respecting its environment and preserving the best varieties of the local plants that were already present in that area. Grecanico Dorato had the strength and the courage to grow and live for entire centuries on the top of Mount Etna, the highest active volcano in Europe. Our mission at SantaMariaLaNave is to bring these amazing gardens back to their original magnificence, in order to make wines of excellence that fully express this precious extreme terroir. Moved by our true love for the Etnean nature and by our passion for local pre-phylloxera vines at risk of extinction and found at extreme locations, later we bought a vineyard of extraordinary beauty on the steep slope of Mount Ilice, an extinguished crater created after a violent eruption that took place approximately a thousand years ago on the South-Eastern slope of Mount Etna. This vineyard has been cultivated with devotion, patience and true passion for more than 50 years by an extraordinary local farmer, Don Alfio, who chose to pass on its precious heritage to SantaMariaLaNave, since he is sure that we will fulfil our promise: to bring back to its original magnificence this ancient vineyard, that his old owner has been cultivating during his whole life in a biodynamic and natural way, following the moon phases and the flows of the winds.